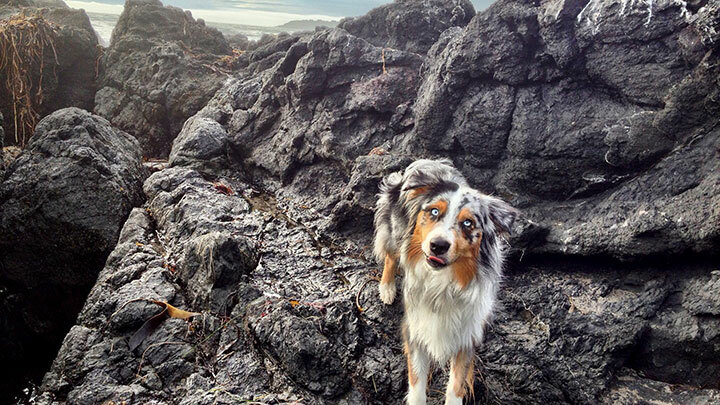 Is there anything better than a fun hike, swim, run, or ride with your best friend? Not much and that is especially true if your best friend has four legs and a tail. Not all dogs are created equal, at least not for all tasks. Like humans, individual dogs come in a variety of sizes, have different body types, and they possess unique inherent abilities. When planning any activity, it is important to consider the physical condition, tolerance, stamina, and interest of the partner. 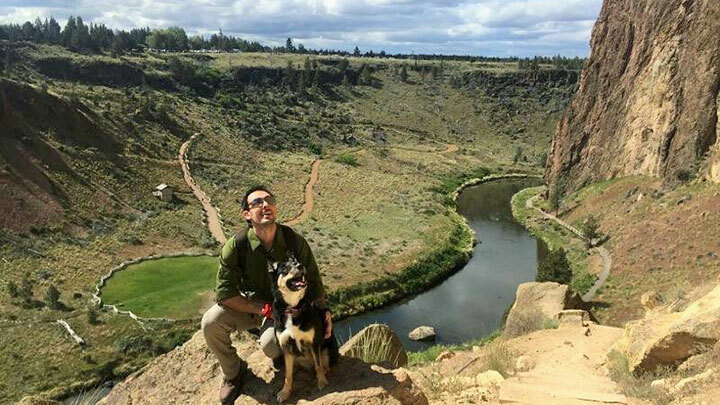 Today, nearly 400 different breeds of dogs are registered by various kennel clubs around the world and we recently had the opportunity to ask over 700 avid hikers what their four-legged friend of choice was on hikes, and it included 82 of those breeds. 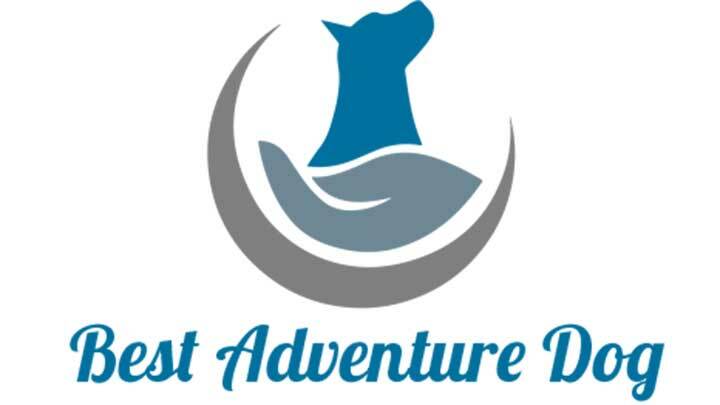 Below you’ll find a chart that breaks down the data for the top 10 most popular adventure dog breeds. 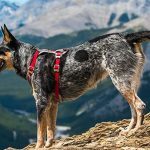 Top 10 most popular dog breeds for hiking. Percentages come from 721 active hikers surveyed in the United States as of November 2016. We heard everything from Shepherd mixes to Border Collie mixes to Chihuahua mixes, and even a Vizla/Husky/Cockapoo mix. But of all the answers, rescue dogs and mixed breed dogs were at the top of the list…by a lot. If you can read the chart above, 28% of hikers have a mixed breed buddy with them. This shouldn’t come as much of a surprise though, considering 53% of dogs in the United States are mixed. 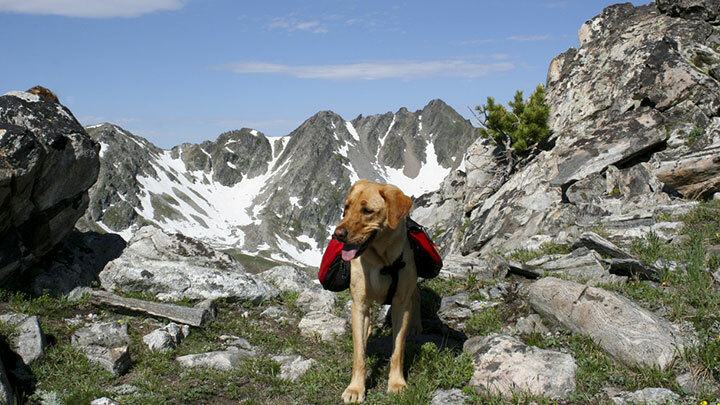 How could any list of breeds best suited for adventure be complete without America’s favorite breed, the Labrador Retriever? “Labs” are the total package for outdoor fun. A large sized dog, Labs are smart, loving, kind, loyal, eager to please, and easy to train. They are among the favored breeds for use as service dogs. Developed in Newfoundland, Labs were used by fishermen to secure their catch. The hearty dogs would not hesitate to jump into icy waters and help pull in heavy nets filled with fish. Trained to hunt and retrieve waterfowl, the Lab is admired as a first class field trial dog. With an extensive resume of athletic ability and a proven success rate at many physical tasks, a Labrador Retriever is a great match for the salty sailor or the landlubber alike. The German Shepherd Dog (GSD) is recognized among the most successful breeds for police, military, and other K-9 work. The magnificent dogs were developed in Germany in the 1880s. 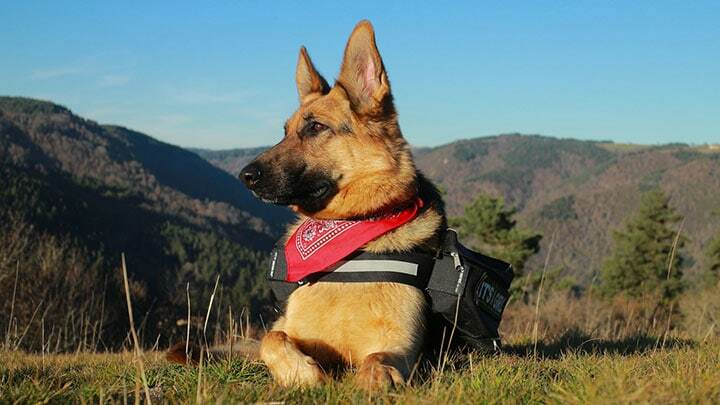 As a class, GSDs are considered strong, loyal, energetic, and intelligent animals. GSDs are a large breed, reputed to be extremely brave and protective of their humans. GSDs are incredibly agile, love to work, and they crave physical activity. This dog would have no problem with a good run, long hike, mountain climbing, or even keeping up on a bike ride. 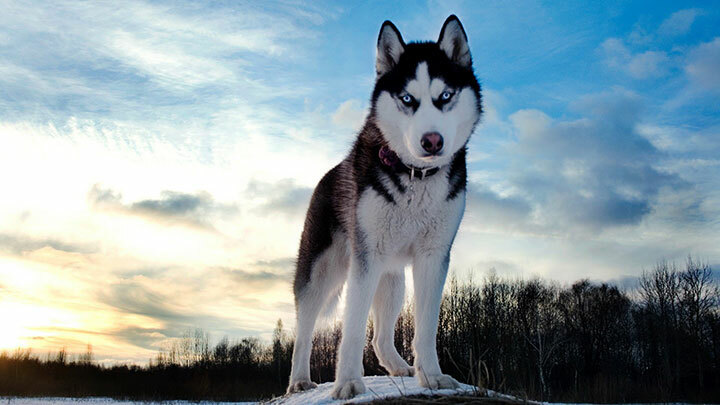 Our tallies above include both the Siberian and Alaskan Husky, though the former being far more popular. 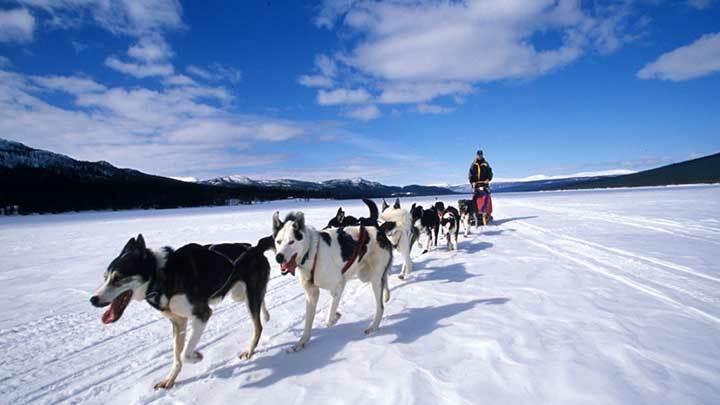 They are one of the most iconic dog breeds, popularized by their heroics while dog sledding in Alaska. Their disciplined ability to “work” is probably unmatched by any other breed. 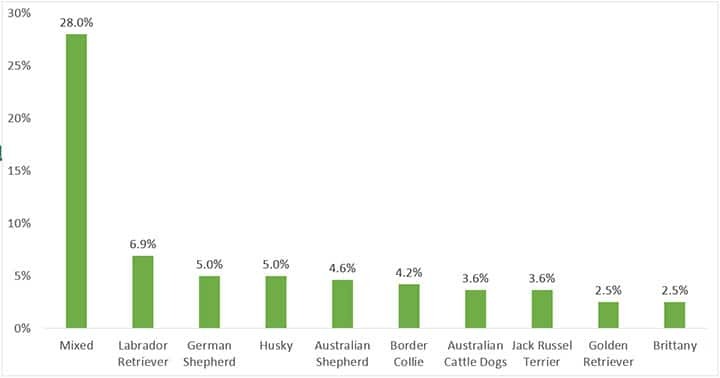 The Australian Shepherd is the second shepherd on this list. Many people simply refer to it as the “Aussie,” not to be confused with the Australian Cattle Dog below. Despite its name some believe this dog breed originated during the Gold Rush in the western United States. Like any working dog, the Aussie will be happiest when given a task or job to do. Hikes are perfect for them to expend some of that mental energy. 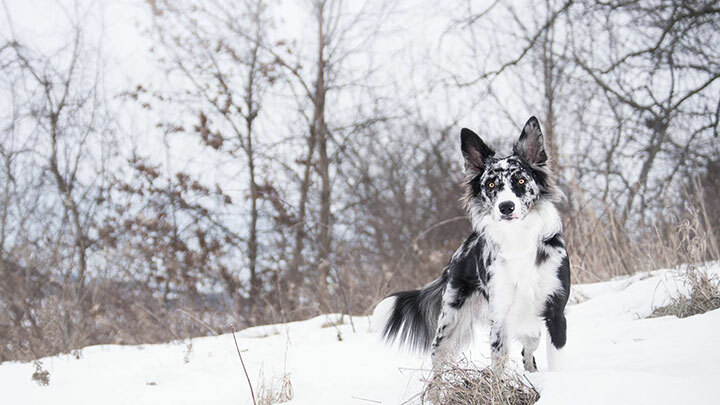 The Border Collie (BC) gets its name from being bred on the Anglo-Scottish border region for herding livestock. Alongside the poodle, the BC is often considered the smartest breed in the world. To demonstrate their intelligence a BC named Chaser was able to identify over 1,000 objects, which no animal (to our knowledge) has matched. 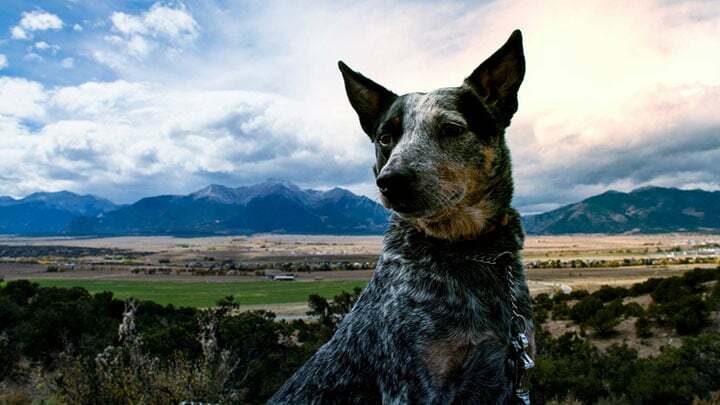 The Australian Cattle Dog (ACD) is often called a “Red Heeler” or “Blue Heeler” depending on its coat color. They’re a working breed dog originally bred in Australia (duh) and for, you guessed it, herding cattle. This dog has little fear combined with a very high intellect. 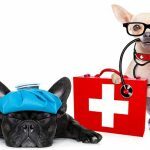 Be prepared to spend a considerable amount of time “challenging” this breed both physically or mentally. 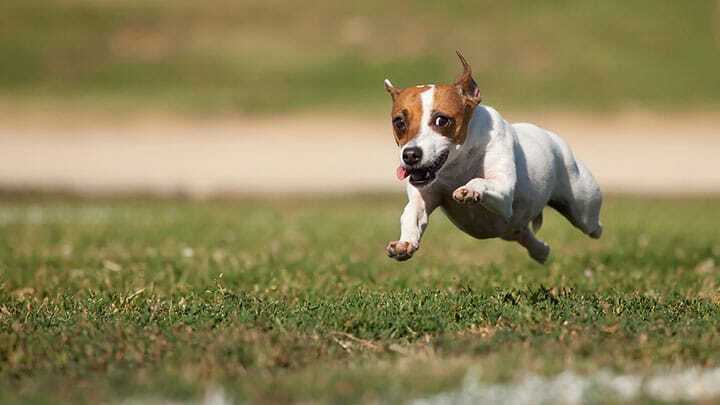 Small in body but big in spirit, the Jack Russell Terrier (JRT) is a spunky, sturdy, tough, little dog always primed to go. The high energy, muscular JRT was bred in England in the mid-1800s. Used to hunt small game such as rabbits and fox Jack Russell’s became adept at tracking and digging prey out of the den. Today, JRTs are valued for hunting, agility trials, and their trainability and comical demeanor makes them award winning performance dogs. A tireless, compact JRT would be a happy trailblazer on any journey. 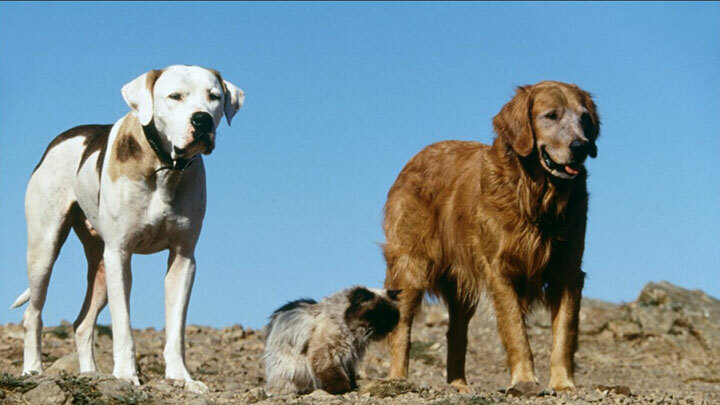 Hopefully you recognize this pack from the movie Homeward Bound because a list without Shadow, the Golden Retriever, would be incomplete. 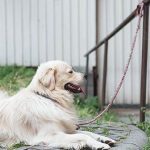 The glorious, medium-large dog with the silky, golden coat consistently ranks as one of America’s favorite breeds. Golden Retrievers are naturally charming, affable, smart, well-mannered dogs that pretty much love everyone. 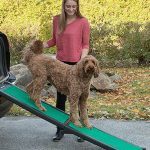 Besides their role as cherished family companions, this breed is used extensively as service dogs, therapy dogs, search and rescue dogs, and as airport drug detection officers. Golden Retrievers were developed in the Scottish Highlands in the late 1800s to hunt and retrieve birds and small game without damaging the prey. Goldens have an instinctive love of the water, but can also sit patiently for hours in a boat. 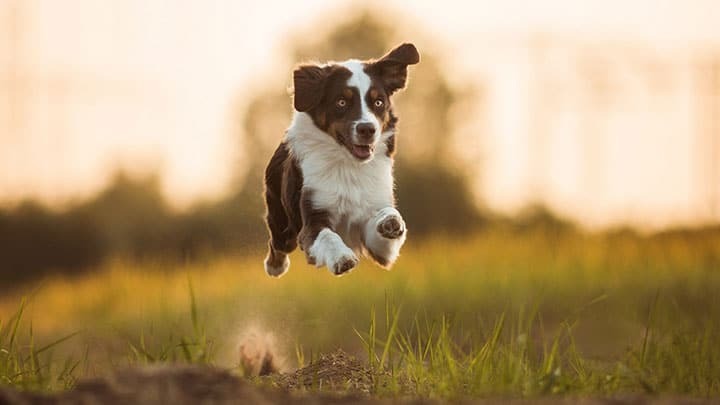 They possess great stamina, but exercise caution when planning strenuous activities with this breed as many a Golden Retriever will literally work until they collapse. 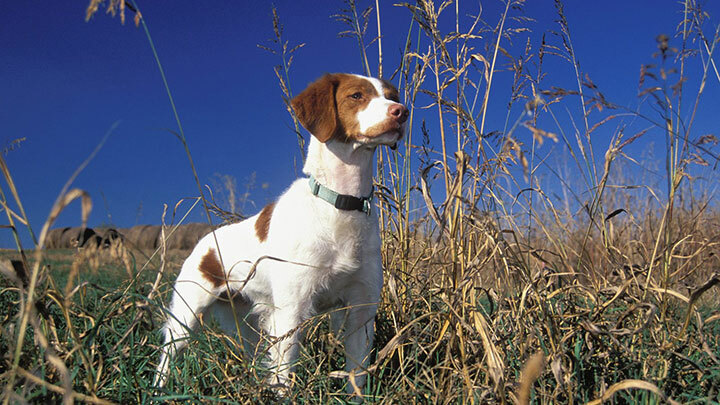 Originally bred in France circa the 1800s, the Brittany was officially recognized by the AKC in 1934 and is considered a compact dog of medium size with the ability to cover ground in a quick and efficient manner. They’re considered “gentle souls,” and were bred as companions to french hunters. They’ve also been described as rugged, without clumsiness. I’m probably a little bias because I’ve had the joy of owning two Carolina dogs (CD) to date. The video above is my CD, Story, and I at Oneonta Gorge. She’s like a thicker coated version of a Border Collie, with a little stronger prey drive. Most CDs don’t look like Story, and instead have shorter ginger coats. Where do some other breeds stack up? Besides the 11 dogs listed above, our survey showed a few other breeds that were close to making the list. There is no argument; dogs are excellent companions for anyone from the devout couch potato to the ambitious outdoor junkie. 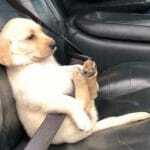 Dogs are all heart, and they depend on their human counterparts for their safety, physical, and mental well-being. So, regardless of the breed – or combination of breeds – make sure your partner is the prime condition for action. 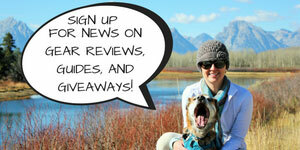 Lastly, be sure to let us know in the comments below who your hiking buddy is!